Jaipur is a city that is known for its culture-rich monuments and palaces. One of these palaces, if we might take the liberty to call it the pride of all palaces, is Jal Mahal. 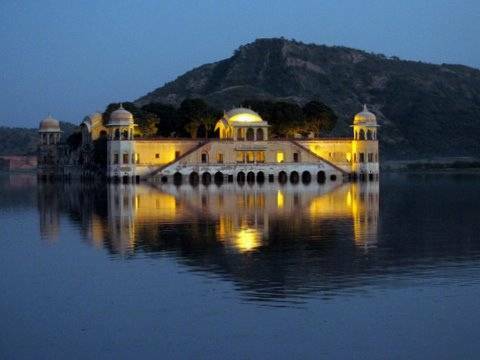 Jal Mahal (Water Palace) is located in the midst of the Man Sagar Lake in Jaipur. The palace, whose four storeys are submerged underwater, served as a shooting range for the Maharajas back in the day, and is now a serene getaway from the bustling markets of the city. The palace was renovated in the 18th century by Madho Singh II, owing to which the palace has a more radiant exterior and the lake is less contaminated. The brilliance with which the palace and lake were designed will amaze you. Every little detail was kept in mind by the architects of that time during the construction of this unique palace. Innovative ideas were implemented on the design of the lake. Ideas like- the drains were being diverted, two million tonnes of toxic silt were dredged from the bottom, increasing its depth by over a metre, a water treatment system was developed, local vegetation and fish reintroduced, the surrounding wetlands regenerated and five nesting islands created to attract migratory birds. 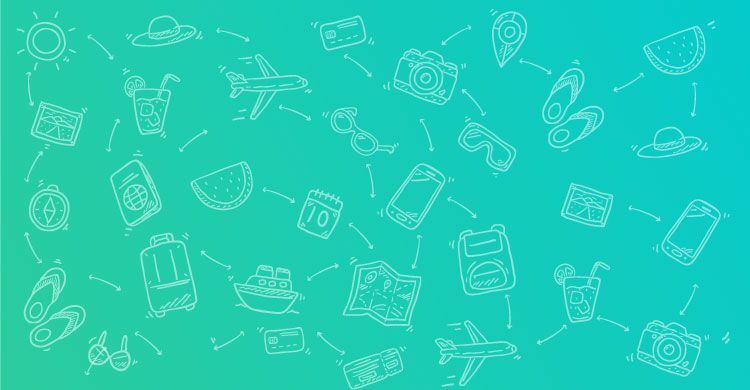 This site will give you a culture-rich and unforgettable experience. The sound of oars on the clear lake waters of the Man Sagar Lake while you sit on a Rajput style wooden boat crafted by boat-makers from Vrindavan will take you to Jal Mahal. When you reach, you will witness decorated hallways and chambers on the first floor. What awaits you once you climb up will come as a pleasant surprise- the fragrant Chameli Bagh. The palace can only be reached by a boat. Inside, a staircase connects the lower floors to Chameli Bagh, an aromatic terrace garden atop the palace which provides a panoramic and breathtaking view of the Aravalli Hills. The intricately redecorated interiors of the palace, featuring floral designs, are to look out for. A typical visit should take about 30 minutes, because there is not much to do apart from camel riding and visiting the small markets inside. Jal Mahal is a complete package for visitors. On one side of the palace, you will experience the historical Jaipur- the Aravalli hills, dotted with temples and ancient forts, and on the other side, the bustling new city of Jaipur. It can be called one of the most favorite tourist attraction of Jaipur and it has every right to be!